It’s been a quiet start to the year, with very few events so far, but that has given the BRoW4 volunteers plenty of time to be creative and to focus on our Family Fun Day for the Air Ambulances. Read on to find out more! Saturday 23rd March took Anna to Ramsey Mereside to sell some of the amazing items that have been handcrafted by BRoW4 volunteers. 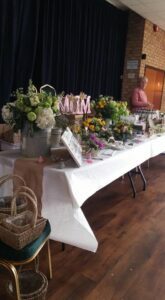 This lovely floral display reminded her that Spring was just around the corner! Speaking of handcrafted items, take a look at what one of our volunteers has created for us recently! 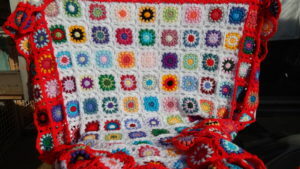 If something catches your eye, you can find details such as the price, postage costs and how to buy it on our facebook page https://www.facebook.com/groups/2278351695538638/ or on our website www.brow4.com/craft There’s more items on there than we have space to show you here! 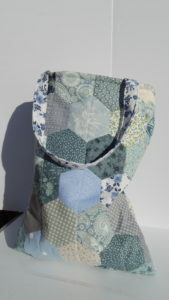 We even have some dressmaking patterns if you’re feeling a bit creative yourself. Don’t forget that your online shopping via easyfundraising really helps us to make a difference and support non-government or lottery funded charities! Please register using the link below – it won’t cost you a penny. 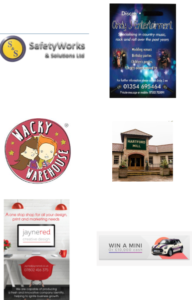 2019 is the fifth year that BRoW4 have held this event, and for the first time we are introducing live music into the event, as well as having lots of stalls and entertainment for the children. We’re really pleased to tell you that we have the following performers lined up to perform on our stage! 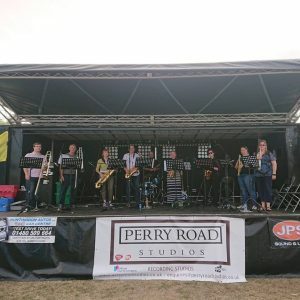 Slightly Chilled are a 10 piece dance/jazz band who cover music from the 1930’s up to present day hits. 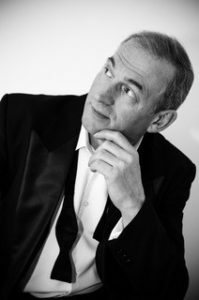 Dennis George is a solo artist whose performances include songs from the Rat Pack era, swing hits, and show tunes amongst others. 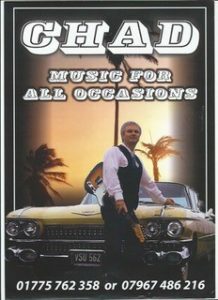 Chad is another solo artist, and he sings all sorts of things at all sorts of events. We can’t wait to see what he will sing at our event! 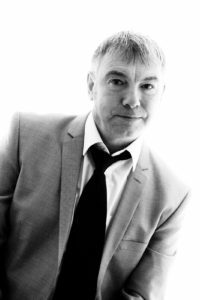 Travis Graham is our third solo artist of the day, and sings all sorts, from Swing, Soul, Ska, Funk & Disco, 60’s, 70’s & 80’s right through to present day chart hits. 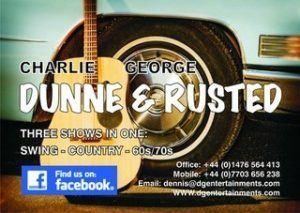 Dunne & Rusted are a duo, and together they sing swing songs, country hits, and 60’s 70’s tunes. 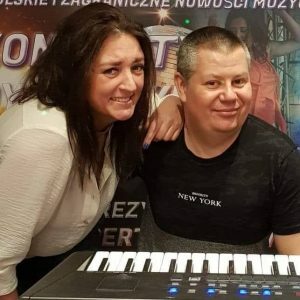 Band Fabryka is a Polish band, and we’re told that they have written a song especially for this event. We can’t wait to hear it! 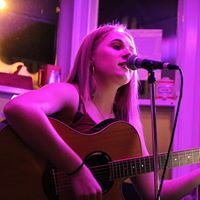 Caitlyn P is a singer and guitarist who performs popular songs, and also writes her own music too. 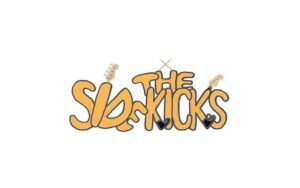 Our final act of the day is The Sidekicks, who play a mixture of rock / pop covers (e.g. music by The Police, Steely Dan, Doobie Brothers, etc.) and original material. None of this would be possible without the support of our sponsors, so a huge thank you to the following for helping us to make this happen! We hope to see you there and of course that we raise lots of money for the air amubulances! 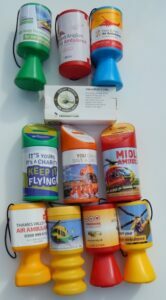 Is your local air ambulance on our list of supporters? !